The man who allegedly killed a petrol station manager, over N40, 000 in Okpuno Nnewichi, Nnewi, has been apprehended by the Anambra State Police Command. Spokesperson for the Command, Haruna Mohammed who confirmed the arrest said the case has been transferred to CIID for discreet investigation. 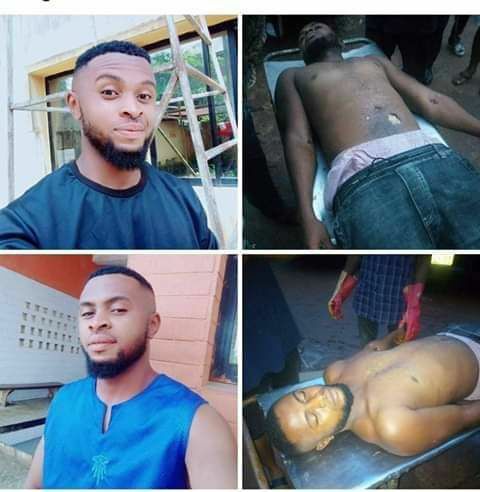 The deceased, Chigozie Emmanuel Aghaji, was said to be a graduate of engineering of the Federal University of Technology, Owerri. The 25-year-old deceased was stabbed by his boss on his lower abdomen with screwdriver over missing N40,000 at Nenco petrol station. “After conducting their usual account, the boss started accusing Chigozie of shortage of 40,000. “Though he initially denied the allegations, the boss said he was the one, insisting on collecting the missing money,” said a source narrated. In course of the argument, the deceased pleaded to the boss to deduct the money from his November salary, without knowing he had another plans.